Get the most out of your AUD currency with the help of this Australia Money Transfer Guide. No matter if you need to send money to or from Australia, we can help you choose the best Foreign Exchange company to work with. FX companies are the answer for international money transfers to Australia from foreign countries like China, USA, UK or any country in Europe because they provide a faster and cheaper alternative to the traditional bank transfer. * Expected Rates reflect our rate expectations based on our research. We do not guarantee accuracy. For some companies, we used a range of rates because they offer wholesale rates for large trades and higher rates for small trades. World First can help you make money transfers all over the world as simple as this process can be done. They have optimized the process of sending money to Australia from countries like USA, Canada, New Zealand, France, Spain, South Africa and many more locations. To start working with Word First or to just a get a free quote, be sure to complete the form on their website. Currencies Direct can help its customers if they are thinking about emigrating, travelling overseas, studying abroad, buying property in a foreign country or simply send some money to their families and friends back home. No matter the reasons they can help by providing a fast and cheap money transfer to or from Australia. With TorFX, the story is pretty much the same. Why? Because they are used to work with international clients and have a very low minimum transfer requirement. If you want to get a detailed quote, you can easily do so by going to their website and complete a short form. Why Them? Local Offices in Australia. iOS and Android Apps. Good Client Feedback. You can send money from Australia with OFX (previously known as UKForex) because they have an AFS license emitted by the ASIC. And because this regulation is for the entire country, you will not have any problems like the US has when regulations are available only for certain states and parts of the country. Currencies: With OFX you can easily send money to any country in the world as they work with many currencies. Anything from the usual big countries like the USA, Canada, Germany, China, to the smaller ones like New Zealand, Ireland, Slovenia, Estonia or Cyprus, are destinations reached every day by this company. Australian dollar moves are correlated strongly with the global and domestic economic cycle with trends in the Chinese economy increasingly important. The independent Reserve Bank of Australia (RBA) has a mandate to maintain price stability, defined as a rate of 2-3% on average over the economic cycle. The Australian dollar will strengthen when the RBA is tightening policy to keep inflation low and tend to weaken when the RBA is cutting rates. Australia has run a persistent current account deficit throughout the last 30 years. This leaves the currency dependent on investment inflows and Australian yields tend to be higher than the G7 average. The Australian dollar tends to strengthen when global risk appetite is strong and weaken when confidence is weak. Minerals, natural resources and metals-related trade account for over 50% of exports. This leaves the trade account, economy and currency correlated strongly with global economic trends. The Australian dollar will strengthen when the global economy is booming and weaken when demand is depressed. Over 30% of Australian exports go to China, also making the Australian currency correlated with the Chinese economy. This linkage has become even stronger over the past few years as China’s share of the global economy has increased. These positive and negative trends tend to move in parallel, amplifying Australian dollar cycles with big potential swings. Although the Australian dollar floats freely in the market, the central bank does intervene to deter excessively weak or strong valuations. Since 2011, the Australian Dollar is the 5th most traded currency in the world, making up for almost 8% of the world’s daily share. Traders like to work with the AUD as it is a very stable currency as a result of a stable economy and political system. Business: The Australian economy is probably one of the more stable in the world as it hasn’t had a financial crisis for the past 24 years; not even the one from 2008 had any impact on this country. Much of the AUD popularity in trading is also because of the close relations with Asia – China is Australia’s largest trading partner. The growing Chinese economy has led to huge investments in Australian mining companies to sustain their growth. Real Estate: The market is sizzling at the moment, especially in bigger cities such as Sydney, Melbourne and Brisbane. A report from Colliers International shows big growth in commercial property investment in 2015. The recent stock market crash in China has led many to diversify their portfolio and invest in something more stable. And since the AUD has seen lower values, the real estate sector in Australia has been flocked with Chinese investors. In 2016, on the other hand, the growth has been reduced a lot and many properties have started to show the real price because all of the hype is gone. This means that homebuyers will be able to get better deals because the overseas investors with big pockets are slowly moving out of the picture. If you need to make a transfer to Australia be sure to double check the SWIFT codes on this page here. If you consider moving into Australia and live there as an expat, you may find the following information helpful. Affordable Healthcare: Prescriptions are on average 20% cheaper than other western countries. Low Crime Rate: 46.01 level of crime on crime level index. Affordable Housing: Average housing costs 231,768 GBP. Educational Expense: Private Schools can cost up to 12,200 GBP per year. Transportation: Low level of transportation that makes owning a car necessary. Health Insurance is Incomplete and Expensive: Private healthcare plans are expensive and do not cover necessary expenses such as ambulance rides for emergencies. Popular cities for business and real estate transactions from abroad, in Australia: Sydney, Melbourne, Brisbane, Perth, Adelaide, Gold Coast, Canberra, Newcastle, Wollongong and Logan City. 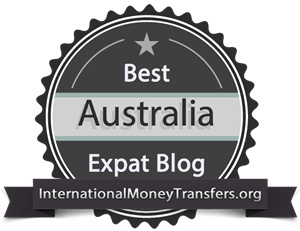 How expensive are Aussie banks for overseas money transfers? To purchase a home abroad, you’ll need to send cash for a down payment. However, many buyers burn far too much of their precious capital by using their bank. Let’s assume you are a customer of Commonwealth Bank. Need to send 15,000 USD for a 10% downpayment? Assuming you send funds at 1:06 am GMT on April 1, it’ll take 22,354 AUD at their current AUD/USD rate of 0.6710. Compare that to the rates you can get through money transfer providers. At the average AUD/USD rate of 0.7027 on internationalmoneytransfers.org, you would only need to transfer approximately 21,350 AUD to end up with 15,000 USD on the other end. Saving more than 1,000 AUD, you’ll have enough cash to throw a banging housewarming party at your new pad. Note: Because of the Anti Money Laundering laws, setting up an account with a Foreign Exchange company is similar to the banking process. ASIC regulates dealing with foreign exchange, as well as overseas money transfer providers. 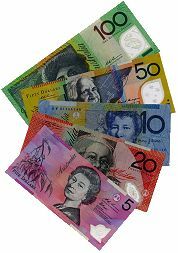 There are no limits on currency transferred in and out of Australia. Travellers carrying amounts of AUD10,000 or more must make a declaration. Foreign Direct Investment (FDI) is unrestricted, and only amounts exceeding AUD240 million must be pre-screened. Outgoing capital transfers are also unrestricted. 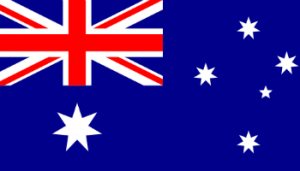 Australian residents are subject to taxation on foreign income. Temporary residents are exempt from taxation on foreign income. Non-residents are only subject to taxation on income from Australian sources. It is known that the British Pound is the biggest currency in the world and, with a great economy behind it, the United Kingdom must be the best country in the world, right? Wrong! For the past 2 years, the #1 country in the world is Australia, with an average household disposable income of $28,884. And this is also the best destination for British expats according to a survey made by thisismoney.co.uk. But why is that? What makes it such a good destination for Brits? Is it the fact that the GBP is almost twice as the Australian Dollar? Or is it just the great weather that cities like Sydney, Melbourne or Brisbane can offer? Maybe it’s just the new beginning that many young couples are after. Despite the average salary is slightly higher than in the UK, Aussies pay around 25% less on their apartment rent. As an example, the rent per month on 1 bedroom apartment in an Australian City Centre is £1,150 and in London is £1,560. But not everything is milk and honey. Some things are way pricier like mobile phone calls (+316.21%) or internet access (+55.37 %). So, if you are planning to send some money to your friends or family in Australia, be sure to use a money transfer service that will provide the smallest fee possible. Every penny counts! Want to move to Australia and need more info ? If you are interested in buying a piece of real estate and enter the recent trend or maybe you are just an expat trying to survive a new chapter in your life, we hope that reading this article has informed you how to send money to Australia on the cheap. And if you have businesses abroad that need a constant influx of money, you now know how to quickly and cheaply send money from Australia in a matter of minutes.